Tim Berners-Lee invented “World Wide Web” and “HTML”. 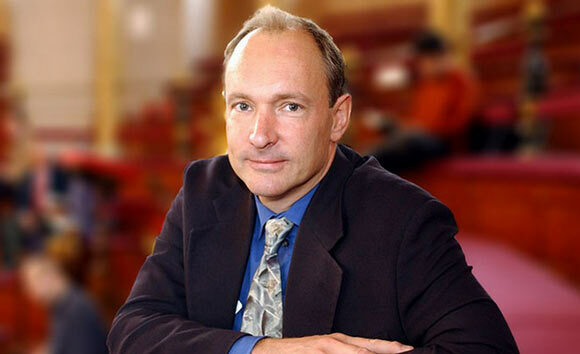 Tim Berners-Lee (formally Sir Timothy John Berners-Lee) is the inventor of the World Wide Web. He was born in Britain on June 8th, 1955 and graduated from Oxford University with a first class honors degree in Physics. He was influenced by his parents’ interest in computers and technology, as they were part of the team who built the first commercial computer. As a child he was deeply interested in trains and took them apart to learn how they worked. At college he built his first computer using an old television, a soldering iron and a processor. After working as an engineer at a telecommunications company and developing a type setting software at another, Tim joined CERN as an independent contractor. At CERN he developed a program called Enrique which was used as a “memory substitute” by helping him remember the connections between different researchers and projects initiated globally. Tim left CERN but returned later as a permanent employee. Here he gave serious thought and finally developed a proposal to create a system for sharing information easily with others. As CERN was a large organization with offices all over the world, data sharing among researchers was time consuming and repetitive. Often researchers had to re-format the documents they wanted to share with others because of compatibility issues between different computers and software. Tim thought that if he could create a database to share all different types of information in one place, it would save time, energy and cost. In 1989 he formally submitted a proposal for this information sharing system and began working on it, even though he did not receive a positive response from his superiors. He developed the application protocol HTTP (Hyper Text Transfer Protocol) which would be used to transfer and share documents over the internet by assigning an address known as Uniform Resource Locator (or URL) to each document. He also developed the first browser and the first web server. The basic concept was to link computers all over the world together by creating a “web” of servers and shared information. As his efforts at CERN were slow to be recognized, Tim Berners-Lee asked computer buffs over the internet for help by making his software available to everyone. He received an enthusiastic response as people all over the world began setting up web servers and developing different web browsers for use with different types of computers such as Macs and PCs. The world wide web became a global phenomenon in a matter of a few years. Computer enthusiasts made new developments and added to Tim’s initial concept. Today the world wide web it is the most powerful medium of information sharing, has millions of users and servers with unimaginable amounts of information shared every second. Tim has always been concerned about the nature of information available on the web. He wanted information sharing to be free but he also knew that some sort of regulation was needed. A consortium known as World Wide Web Consortium (or W3C) was formed for this purpose, with the American headquarters at MIT and the European headquarters at CERN (this was later moved to a research institute in France). To date, Tim Berners-Lee is a director in the consortium whose purpose is to realize the full potential of the world wide web. Tim is a professor at MIT and University of Southampton, UK. He has received numerous prestigious awards, including an Order of the British Empire and knighthood by Queen Elizabeth. He lives in the UK as well as US and is a chairperson at MIT’s Computer Science and Artificial Intelligence Laboratory.